Metro's Silver Line extension has cleared a major safety hurdle and is now eyeing a path toward opening. At a meeting of the Metropolitan Washington Airports Authority board Wednesday, project leaders said a software glitch with the line's automatic control system has been fixed. "I can report today that our most recent testing of the automatic train control system was successful," said Airports Authority Chief Jack Potter. Potter told News4 the software glitch has been "overcome." This is an important step because it sets a clear path for the line to be turned over to Metro and eventually opened to riders. A "system performance test" is now expected to take place next weekend, and if that is successful, Metro could be just weeks away from taking control of the Silver Line for the first time ever. Metro will then have to conduct its own testing - a process that could take up to 90 days. In many ways, Metro is about to meet its new baby. The first phase of the Silver Line - which will run roughly 11.5 miles from Falls Church to Reston - was built under the watch of the Airports Authority. Once built and deemed ready to go, Metro takes control. When Metro is satisfied that everything is in working order, trains will start carrying passengers. Fairfax County leaders are hoping this will be a monumental change for the entire DC region. 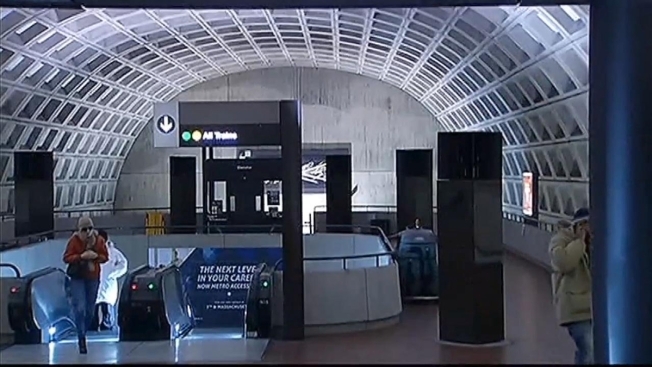 Four brand new metro stations have been built in Tysons Corner alone. The belief is that Tysons will transform into an urban, walkable, pedestrian friendly environment - full of high rise buildings and condos. A place that is not dependent on the car, as has been the case for decades. The fifth station along the first phase is in Reston. Work has already begun on the second phase of the project - another roughly 11.5 mile segment - that will run from Reston, to Dulles International Airport, and continue into Loudoun County. That phase is expected to open in five years.